Porcelain dental veneers are thin shells of material that are created to look like teeth that cover flaws in the front portion of your teeth in order to enhance your overall appearance. They have the ability to change the shape, size, length, and color of your teeth. Patients who have discolored, broken, chipped, gaps, or other flaws in their teeth, use veneers as a way to improve their smile and confidence. 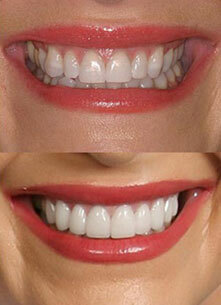 Porcelain veneers help many individuals have that flawless, beautiful smile that they have always dreamed of. Even though porcelain veneers are very durable, if you want them to last for a long time, then you need to make sure they are properly cared for. They have the potential to last 10-15 years if they are well-maintained. Here are some tips to help you properly care for and maintain your porcelain veneers. In order to keep your veneers looking flawless for many years, the best thing you can do is to practice proper oral hygiene. This will not only prolong the life of your veneers but also keep your mouth healthy. Even though porcelain veneers do not decay there are still parts of the teeth that may be exposed and be at risk for decay. You will need to brush twice a day and floss once in order to keep your veneers in tip-top shape. When you have porcelain veneers you need to make sure that you are using a soft toothbrush when you brush your teeth. Hard-bristled tooth brushes can cause the polish on your veneers to become damaged. Try and stay away of toothpastes that have harsh abrasives as they also can cause damage to your veneers. Ask your dentist to recommend a good toothpaste to use on your veneers. Gum disease has the tendency to cause inflammation in the gums and sometimes cause them to recede. Receding gums have the tendency to expose part of the veneer which could in turn impact the overall appearance of them as well as your smile. Continue to practice proper oral hygiene and see your dentist if your veneers become damaged. When you have porcelain veneers it is important that you do not miss your six-month check-up with your dentist. Your gums and teeth will remain healthy and your veneers can be repaired if need be. Keep your regularly scheduled appointments to prolong the life of your veneers. Even though porcelain veneers are durable they are not quite as strong as regular teeth. Try not to chew on hard objects such as ice, your fingernails, pens, and pencils. If you chew on a hard object it could cause your veneers to chip or become damaged. If you grind or clench your teeth this is a habit that should be stopped regardless if you have veneers or not. It has the ability to wear down your veneers and can cause severe damage to the porcelain. If you have a habit of clenching or grinding your teeth you need to talk to your dentist about treatment options that can help you stop this bad habit before it causes damage to your teeth or veneers. Most porcelain veneers are stain-resistant, the adhesive that is used to keep your veneers attached are not resistant to stains. This could cause the edges of your veneers to become darkened or yellowed. Try to avoid drinks such as coffee, soda, and try to use a straw in order to decrease the chances of these drinks staining your veneers. Everyone already knows what a bad habit smoking is and it is also bad for your veneers. It can cause your veneers to become stained and discolored. If you want them to look their best then you need to make sure you do not smoke. Porcelain veneers can make a tremendous improvement to your appearance and confidence. Taking proper care of them will ensure you have them many years. Make sure you visit your dentist regularly to ensure they continue to keep your smile looking bright and beautiful. 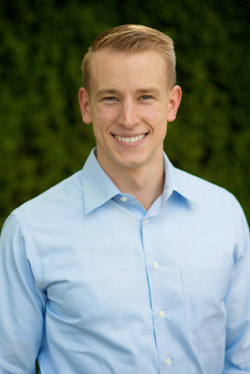 Contact us today for more information on porcelain veneers in Kirkland.